When we look over current scenario, we find that the human has become dependent on the machines. With the automation, everything goes with the help of machines. In all the machines, the computer has proven most vital source to complete the difficult jobs. It is also useful for students to get done all the Assignment Work. Students perform several activities with the assistance of a computer, so there is a need to learn some essential skills that would help them to make easy assignment writing. Word-Processing :- Most of the assignment work has been done through the computer. Students must have the word processing skills because they have to type the content of the Assignments. One of the popular word-processor is MS Word, which removes the headache of grammar and spell check as it does it automatically. PowerPoint :- Power-Point counts under the highly used presentation creator tool, which does not only use by the students, even professionals also use it to prepare dynamic presentations. Excel :- Any kind of data that is in table format can be stored easily in the excel spreadsheets. You can easily produce charts and graphs from the spreadsheet data to make analysis and easy process. Email :- Email is the inevitable part of everyone’s life using the Internet. It is an important service for all. If we talk in favor of students, it helps students to communicate with teachers. 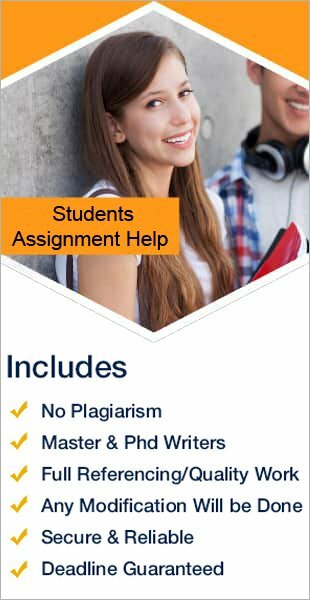 In case, if they have taken assignment help, then email is the most authenticate way to communicate with the Online Assignment Help providers. Basic Level Computer Maintenance :- If you know about basic level computer maintenance, it is an added benefit for you. Let’s assume, you are writing an assignment on your PC and suddenly you have to face error and PC begin to act unusually. Now if you know the basic diagnostic process, it will be easier for you to deal with the problem otherwise there is no choice to wait for the Computer Technician. Typing Speed :- Typing speed is one of the crucial factors which may affect assignment writing. It has less chance that you ever noticed your typing speed. If so, consider it once. Having a good typing speed saves your precious time that you can spend on the Research Work.